Wondering what to gift the boys in your life? Well look no further. Today we’re sharing the hottest gifts and toys for boys this Christmas that are sure to please! Topping the wishlists this year comes video games, drones, hot wheels tracks, tech toys, and the coolest new games available! We received a variety of samples in exchange for inclusion in this post. All opinions are our own. What boy doesn’t want video games under the tree this year? These fun Warner Brothers Interactive Entertainment titles that are topping our list! 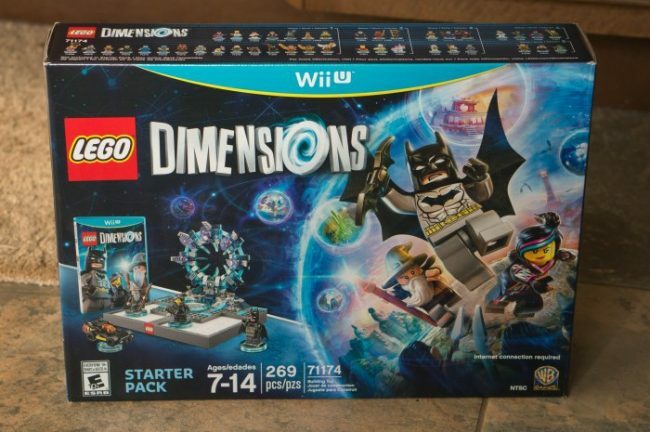 LEGO Dimensions combines the love of LEGO brick building with an interactive game experience. The starter kit lets you add in your favorite characters from movies and series like Adventure Time! Take a spin on creating your own LEGO Worlds in the fun game where everything is made of bricks. You’ll set out to find treasures and adventures in your newly created world. Racing games are always a favorite, the Cars 3: Driven to Win game will let players of all ages play together on more than 20 track sets that follow locations from the film. The favorite LEGO series has two additional fun titles: LEGO Marvel Super Heroes 2 and The LEGO NINJAGO Movie Video Game. 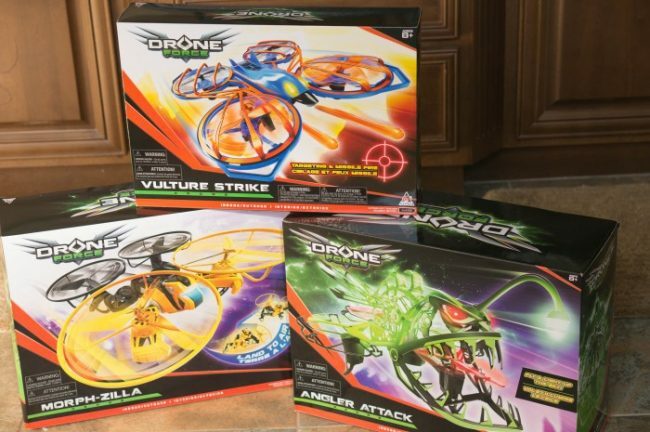 Drone’s are all the rage, and this hot new line of Drone Force toys is going to thrill him this year! Choose from one of these styles each with unique features. The Vulture Strike drone features a projected target and missiles you can launch to start your own mini battles. Choose Angler Attack drone for a night time fly with the LED lights all over it’s frame. The Morph-Zilla drone can transform to drive on land and then switch to flying mode to take to the skies. All three can fly indoors or outdoors with a RC controller and range of up to 150 feet. Jet.com is a one-stop shop for holiday gifting. They’re featuring the hottest toys and games for the season including this incredible Hot Wheels Super Ultimate Garage! Little boys love cars and this impressive playset will give them all a home. The motorize elevator can move up to 23 cars at one time, giving them continuous play racing the cars down the looped track. Plus room to park over 140 cars! With Jet.com you’ll get free shipping on orders over $35 and free returns making it easy to shop confidently for your holiday gifts online at Jet.com. Spin Master has a huge assortment of gifts for boys of all ages that will top their wishlist! Older boys can develop programming skills with the Meccano-Erector M.A.X Robotic Interactive Toy. The robot takes on custom programming and has artificial intelligence that and can sense obstacles and navigate surfaces making him a one-of-a-kind gift. The PAW Patrol Sea Patroller Transforming Vehicle lets preschoolers become a rescue team and tackle missions on land or on sea. The Air Hogs 2-in-1 Hyper Drift Drone will fly across land or blast off into the sky with the two different modes of play. Or take your hand at designing your own characters with the Rusty Rivets Botasaur! You’ll find the cutest preschool toys that encourage imaginative, creative, and educational fun at Lakeshore Learning. My toddler is going to love the Mix & Match Magnetic Vehicles Jr set. It includes 4 different vehicle types: train, airplane, boat, and car. Give them a fun tool for practicing handwriting and learning letters with the Alpha-Sketch Light-Up Center. Little space explorers will adore the Play & Explore Rocket that can go along with you. Then let them setup a mini Carnival Knockdown Challenge with fun target booths and launcher! 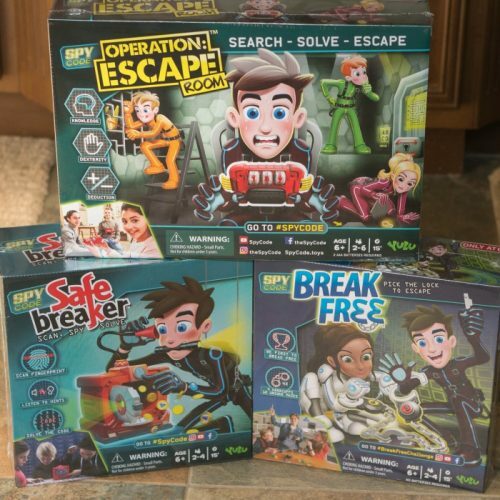 Give the kids an interactive game challenge with the Spy Code games by YULU. Escape rooms are all the rage, and kids will love the challenge in Operation: Escape Room to work as a team to complete a series of tasks and find the code to unlock the master belt. Try to rescue the stolen treasure in Safe Breaker by cracking the code in this spy skill and memory game. Finally, get locked up and try your hand with your lock-picking tool to try to escape and collect the most points in the Break Free game. Give them an outlet for building and imaginative play with the fun of magnets with the popular Magformers building sets! This cute Magformers Log Cabin set includes 87 pieces with windows, ladders, grass, fences, and even trees! It will give them so much fun creating their own winter cabin getaway for their play figurines to camp out in during the holiday break. Magformers make it easy to build a design, then switch it up with a different design each time. They store easily by stacking the Magformers flat in a stack and away for the next time you’re ready to play. 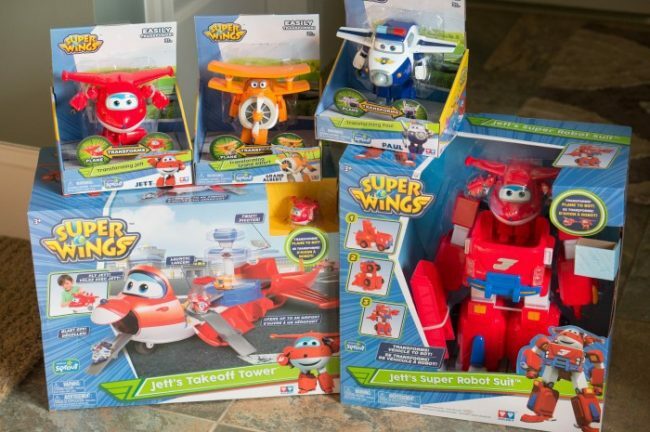 Boys that are fans of the Super Wings™ show or simply love airplanes will go crazy for the exclusive Super Wings season 2 toys! Choose the Super Wings Jett’s Takeoff Tower that transforms from a large airplane toy to a portable playset that transforms into an airport including runways and launch ramps! Or, select the Super Wings Jett’s Super Robot Suit to upgrade Jett to power through obstacles! It also converts to a vehicle for more ways to play. Then add their favorite Super Wings Transforming Characters to recreate episodes with their imagination. The Color Copter is a cute way to start learning early colors, numbers, ABCs, and shapes for toddlers ages 18+ months. Toddlers ages 2+ will have a blast controlling the ABC Dancing Dino with the remote control that’s easy for little hands to use. Choose from an action and a learning mode for variety of play. The Learning Journey has toys for older kids, too. 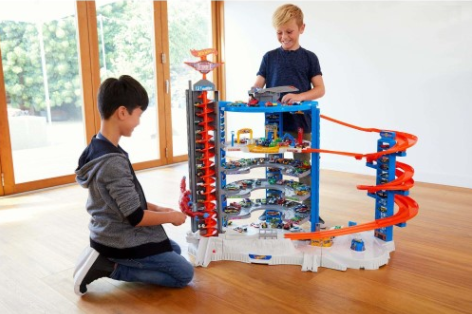 Like the Techno Gears Marble Mania Sidewinder 3.0 marble run. Send the balls up the spiral lifter and watch them race through the course of drops and dips. For the fidgety, rowdy boy in your life that can’t be still, grab The Grade by Fluidstance. The Grade was made to help get kids up and moving. Kids can use The Grade balance board to keep moving while doing sedentary things like gaming, watching T.V, reading, homework or more. The Grade by Fluidstance is a great way to help kids get rid of their excess energy, while still doing something quiet inside. Studies have found that kids are spending more of their waking hours sitting. Something like 85% of their day is sitting while playing games or being in school. Movement helps kids focus and improves their attention spans, as well as helps keep them physically fit and healthy. So, get your kids up and moving around this year with The Grade balance board by Fluidstance. Set up your budding artist with learning tools for success with a smART Sketcher Projector. 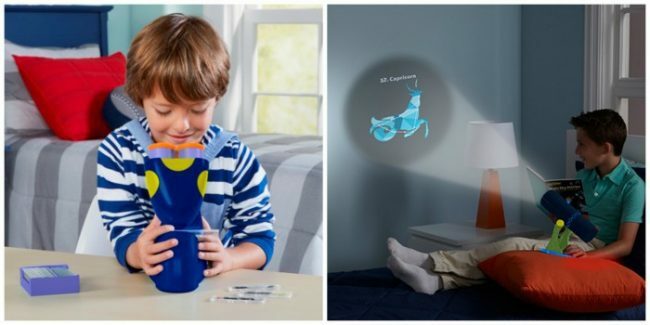 This smART sketcher Projector is the first smart projector of its kind. With pre-loaded SD content cards, your child can learn to draw with 50 step-by-step activities. Just choose what you want to draw and the projector will project it onto the page guiding you on how to draw it. Younger kids can even practice learning how to write letters. Learn to draw animals, princesses, cars and more! If you have a child that has mastered the art of simple drawings, kick it up a notch by snapping a photo of something they want to learn to draw. Then, filter it and transfer it from the phone to the projector and begin sketching. Your child can learn to draw anything they see with guidance from the smART sketcher Projector. Get the kids involved in some hands-on creative play with Howtoons. These box kits include everything they need to build and learn. You can grab a kit for making their own stomp rocket or marshmallow shooter. 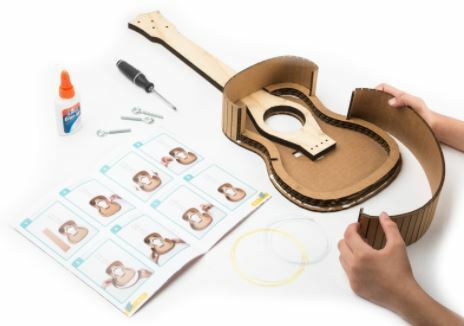 They can build their own Ukele and learn to play it or build their own rubber band car. You can purchase Howtoons just as a single kit to play or as a box subscription sent right to their door. Each box is packed full of everything they need to have a good time creating and then playing with what they just built. Each Howtoons kit was created and developed by a team consisting of a comic book artist, an inventor, a toy designer and an engineer to deliver an integrated, playful yet STEAM centered experience. Get the kids out from behind a screen and interacting together with a variety of games from ThinkFun. Each game from ThinkFun is not only designed for hours of fun but also has an element of learning with each game. Have your child building an amusement park with Roller Coaster Challenge. This fun-filled engineering challenge will help them understand basic physics and logic concepts all while creating and playing. Does your child enjoy computers? Try out CODE:Rover Control where your child can learn about coding while they’re trying to keep their rovers on course on Mars. They will put their critical thinking skills to use to correctly color pathways to keep the rovers traveling in the right direction. with Color Cube Sudoku, your child will master the challenge by flipping and arranging the color cubes until no colors repeat in any row or column. Whatever your child is into, ThinkFun has an amazing game that they will love to play and you will love them playing, because they will also be learning. 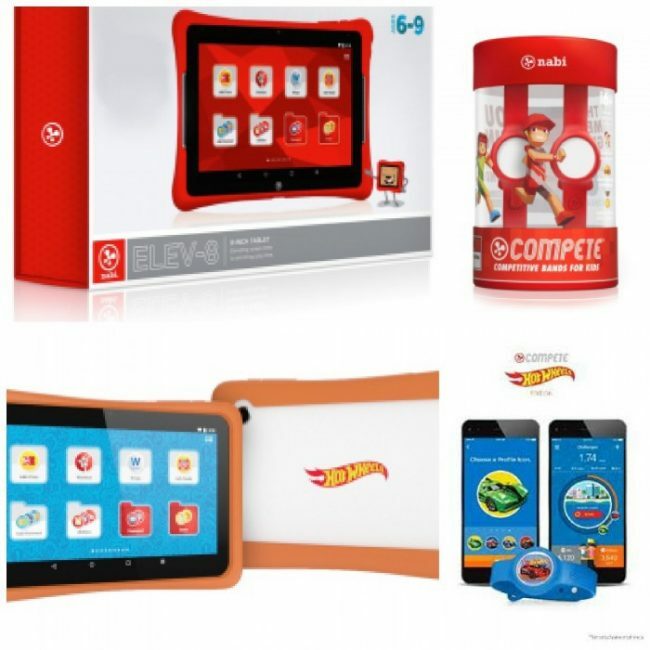 Nabi has some awesome gifts for kids this year. Nabi Tablets are made to inspire creativity and personal learning for kids of all ages. It also keeps parents in control of everything their child is doing on the tablet. I’m especially excited to give my son the Hot Wheels Tablet this year. He will love exploring the world of Hot Wheels, experiments, track wars, and over 25 apps and games for hours of fun! Another must have gift from Nabi this season is the Nabi Compete. Get your kids more active with real life competitions or teamwork goals that also reward them with virtual points on their tablet or smart phone. 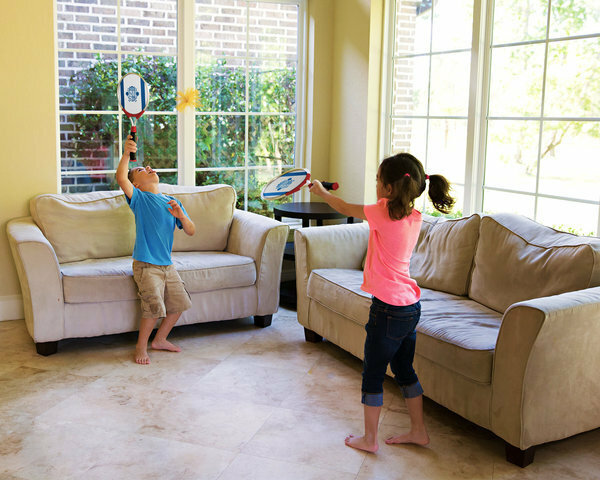 You and your kids will love fun tech that also gets them active. I love finding gifts that are both fun and educational – these gifts always keep my kids interested for longer periods of time. Perfect for the child who loves to learn and explore, Educational Insights offers a variety of fun and educational toys perfect for fun learning. Perfect for the young scientist, Educational Insights offers everything from a GeoSafari Talking Microscope to a GeoSafari Constellation and Solar System Explorer kit. Use this Miscroscope to learn friendly facts about nature while exploring 20 slides that contain over 100 facts and information. Star gaze in the comfort of your own home with the GeoSafari Constellation and Solar System Explorer. With over 12 different constellations to look at, learning has never been more fun! One of my very favorite Christmas traditions is giving my kids books as gifts. This year, I can’t wait to see the looks on their faces when they receive these fun National Geographic Kids books! Captivating, educational, and just plain fun, your kids will fall in love with National Geographic’s new titles: Weird! 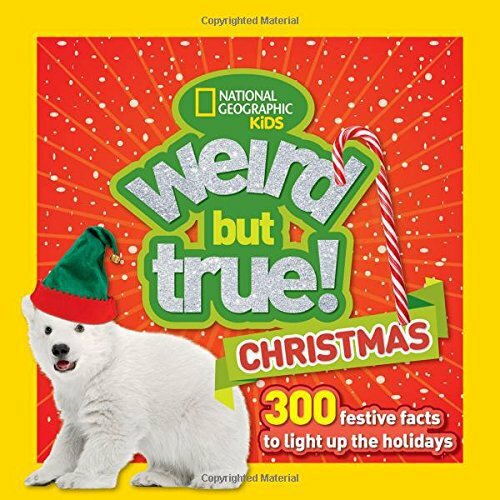 But True Christmas (300 holiday facts), Ultimate Dinopedia (perfect for the dino lover), Bet You Didn’t Know: Fascinating, Far-Out, Fun-tastic Facts (super random, and fun facts), Just Joking Jumbo (1,000 jokes & 1,000 funny photos), and Hey, Baby! A Collection of Pictures, Poems, and Stories from Nature’s Nursery. Talk about Christmas gifts your children can cherish for years to come. 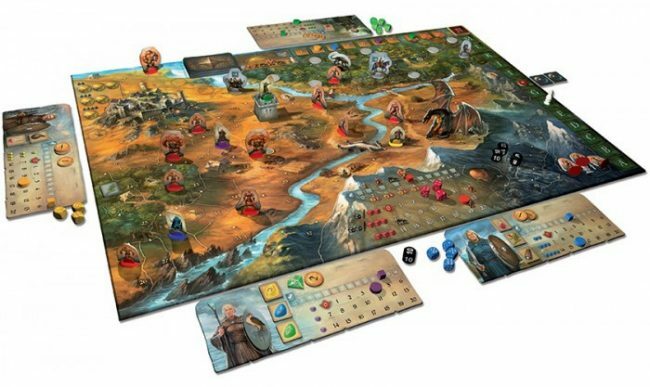 Take on an epic journey with the Legends of Andor strategy board game by Thames & Kosmos. You’ll work together as a team and cooperate to battle the enemy and complete missions throughout the game. You’ll be able to level up your characters to become stronger and better equipped to take on enemies. There’s even a dragon to fight! Add new expansions to add even more to the game. Like the Legends of Andor: New Heroes expansion that adds additional character types and the ability to add more allow more players to the game. Or add a whole new scenario and challenge with the Legends of Andor: Star Shield expansion campaign. Your boys are going to have hours of fun playing with the latest Nano MetalFigs. These are the perfect take anywhere toy. You can use them at home with one of their playsets, or take them on the go because they are small enough to fit in pockets and purses. It is probably one of my boys’ favorite take-along toys because they are so sturdy and can always fit in their pockets. There are so many different sets to choose from including Marvel Avengers, DC Comics, Harry Potter, Disney and so much more! 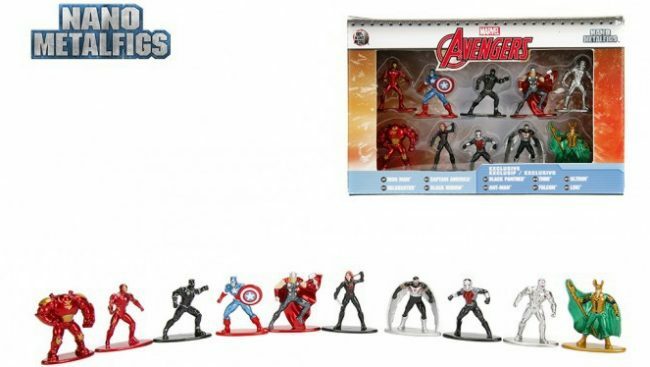 You can find them at the major retailers: Target, Walmart, ToysRUs, and Walgreens. The boys in your life will love to find these under the tree this year. Just in time for new holiday films, good2grow has released six new character toppers featuring beloved characters from “Frozen” and “Star Wars.” Add to your kids’ topper collection with new Anna, Elsa, R2-D2, C-3PO, Yoda and Chewbacca. These characters join good2grow’s line-up of toppers that includes Disney princesses, “Paw Patrol,” “Teenage Mutant Ninja Turtles” and many more. The toppers are available across the brand’s three product lines: Organic Juicy Waters, Fruit & Veggie Blends and 100% Juice. Give the gift of fun and nutrition with good2grow – perfect for stocking stuffers or themed gifts. Look for them at your local retailers or find them on info.good2grow.com/AMomsTake! Looking for a more active gift for the holidays this year? The team at OgoSport has all the greatest gifts to help those boys Move. Think. Play. There is a variety of construction sets to create the most amazing forts like the OGOBILD kit pod , or the super-fun OGOMINTON . The gifts at OgoSport are durable enough for outdoor play, but soft enough to be able to play indoors without wrecking the room-so you can play all winter too! There are even gifts for the creative exploration of engineering minds with toys you can animate and create. You’ll definitely find a gift for all the boys on your list this year at OgoSport. 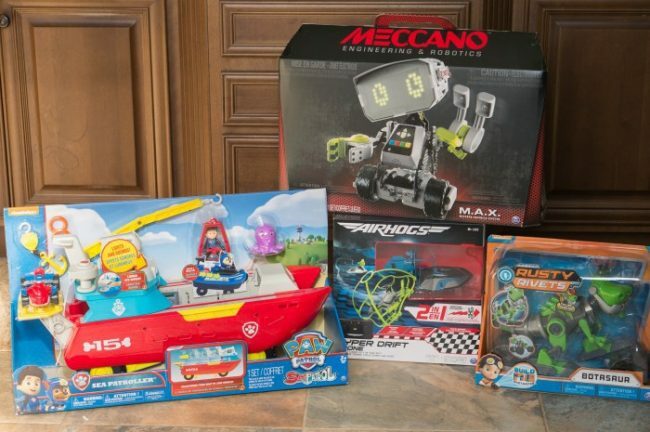 Which of these fun gifts for boys would top your son’s gift list? Previous Post: « How to Have an Amazing Christmas on a Budget! These are such great ideas! Sometimes I struggle with ideas for boys but these are all so great! I need to add a few of these to my shopping list. Thank you so much for these ideas. I am completely at a loss of what to get the boys, some of these will work great. I know their lists are super small this year, like 5 things each but I wanted to get a few extra things for them too! Tbose are all great gift ideas. I’ve never seen color sudoku before. My nephew would love the Paw Patrol toy. There are definitely some great gift ideas here. My son has been begging for Lego Dimensions. I think Santa is going to put that under the tree this year. So many awesome suggestions! My 9 year old son can be hard to shop for, but he would love to receive a drone. Board games also tend to go over well.